THE KAWASAKI Ki-61 HIEN WAS a Japanese fighter in service during World War II. 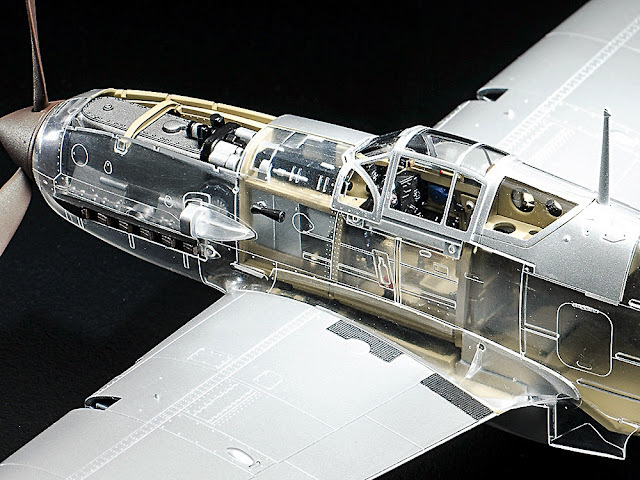 This model from Tamiya captures the aircraft’s appearance beautifully, and you can see inside it, thanks to the included transparent optional fuselage half. 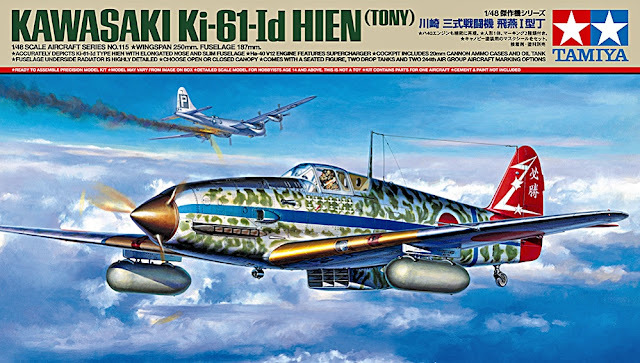 SMN report: The 1:48 scale Tamiya Kawasaki Ki-61 model depicts a particular Hien version, the Ki-61-Id, which had a lengthened nose, accentuating the aircraft's already slim design. Included in the kit are a pair of drop tanks (below) and two marking options, both representing aircraft of Japan’s 244th Air Group. The machines featured are those flown by Captain Kobayashi and 2nd Lieutenant Shunzo Takashima. 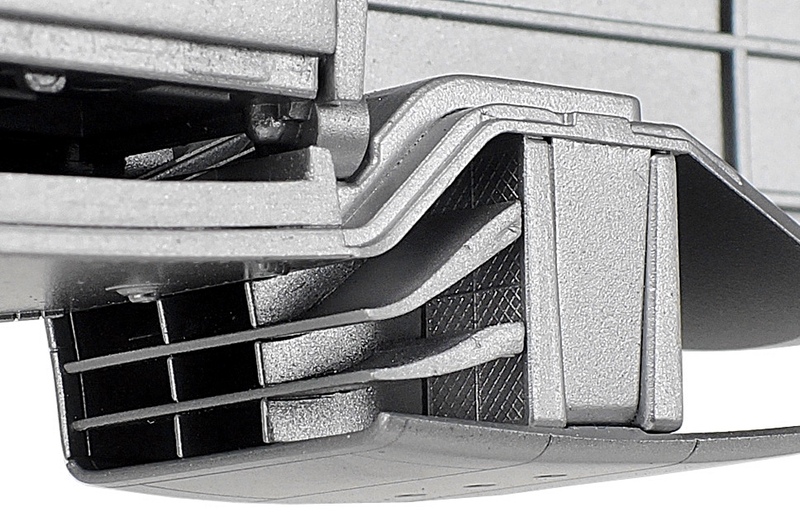 Note the detail Tamiya has included in the wheel wells. Thanks to the decision to include an optional transparent fuselage half (below) you can actually see the interior components after assembly. 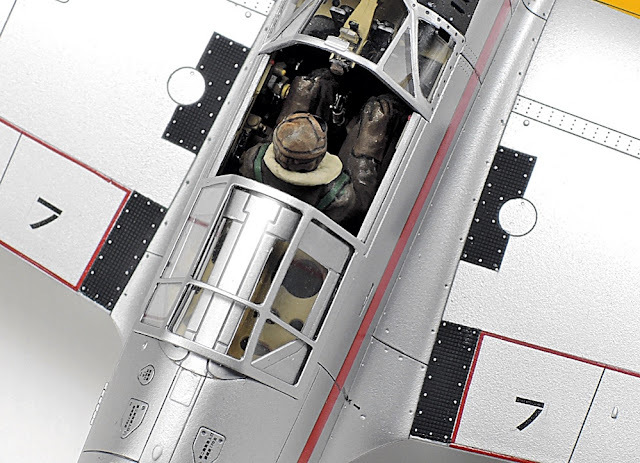 Of course, you don’t have to do so if you don’t want the feature - simply use the solid fuselage half and paint as usual to avoid the see-inside element of the model. We love it, at least to have as an alternative. 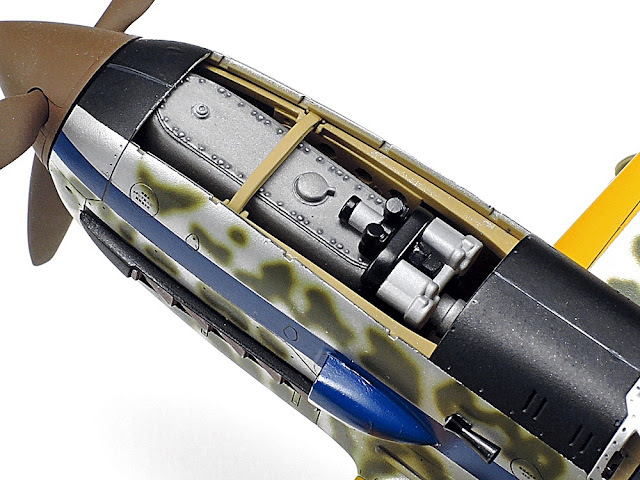 The Tamiya Bell X-1 also includes a transparent option, and the kit is all the better for it. 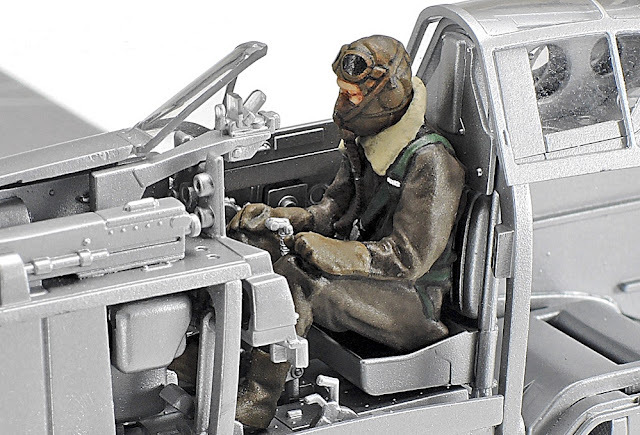 We’d love it if Airfix followed Tamiya in supplying transparent fuselage halves, particularly with recent kits where plenty of interior detail has been included. Alone of Japanese front-line fighters in World War II, the Hien featured a liquid-cooled, inline engine. The Ha-40 power plant (below) has been depicted accurately by Tamiya, with major features, such as the supercharger, included. Note that the engine was fitted in an inverted position, with the two cylinder banks running along the bottom. The engine (below) has a removable cowling, which allows for viewing after assembly. 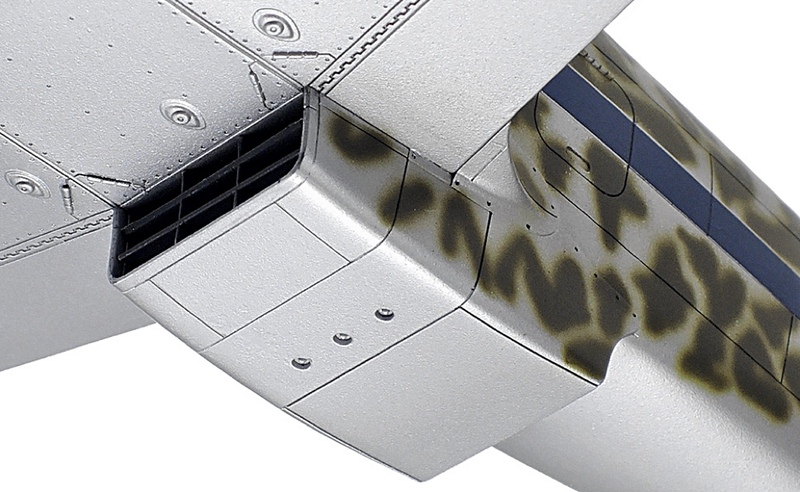 The kit's transparent fuselage means that you will be able to see the interior detail (below) with ease. 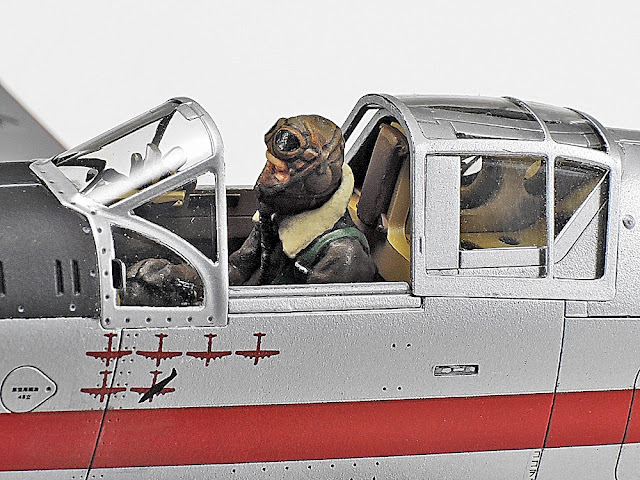 The Hien’s cockpit and pilot (below) are nicely detailed, as are the ammunition cases for the 20 mm cannon carried in the nose, 250 rounds per gun. The canopy can be positioned open or closed. Under the Hien’s belly is a projecting cooling intake (two pix below). Tamiya has taken care to include detailed horizontal slats for this. Nicely detailed decals (below) are supplied. The smaller sheet (below left) is a useful masking sticker, to help with precise painting. Alternative markings are provided (below). 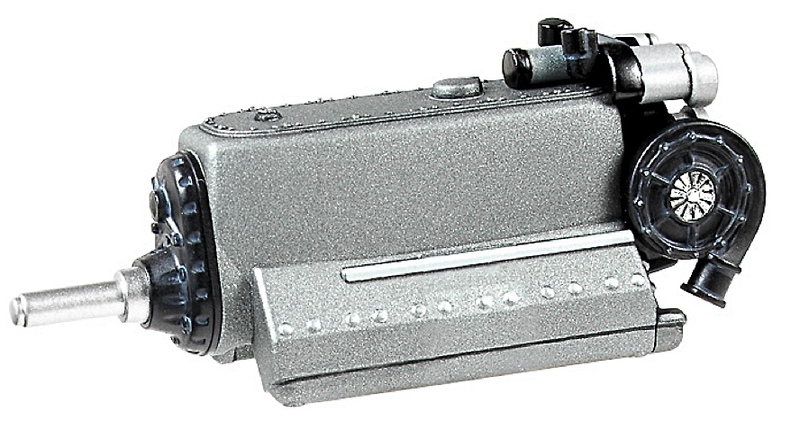 The all-silver machine shown is somewhat easier to paint than the camo version on the box top. The Kawasaki K-61 Hien (‘Flying Swallow’) was first introduced by the Imperial Japanese Army Air Force (IJA) in 1942. The aircraft stood out among its contemporaries, as it had a liquid-cooled (rather than air-cooled) engine, which allowed for a much slimmer nose, helping performance. Different Hien variants (codenamed ‘Tony’ by the Allies) included the Ki-61-Id modelled here by Tamiya. This featured a longer nose, designed to house two 20 mm cannon, plus a pair of 12.7 mm machine guns in each wing wing. The slender looks of the Hien caused some confusion among Allied flyers when it was seen in the air. 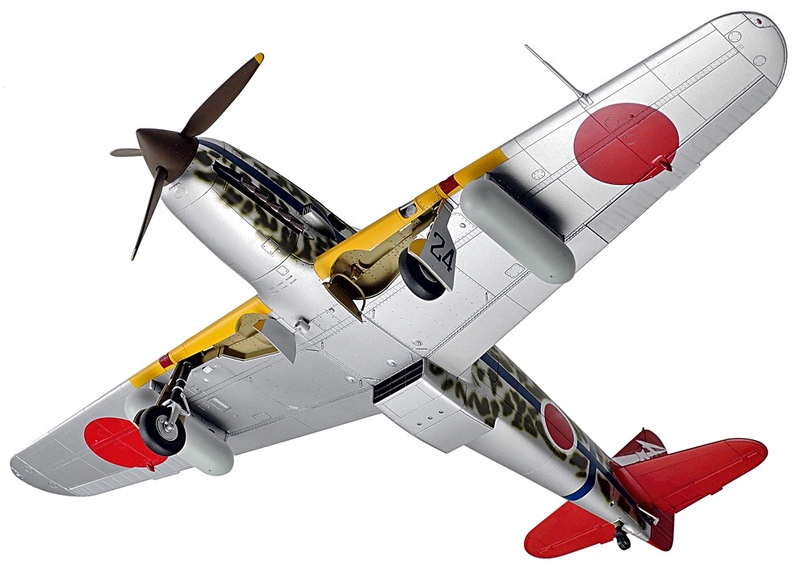 Some thought they had seen a Japanese version of the German Bf-109, an easy mistake to make. In all, some 3000 Hiens of various types were produced, many of them tasked with intercepting US B-29 bombers attacking the home islands of Japan. 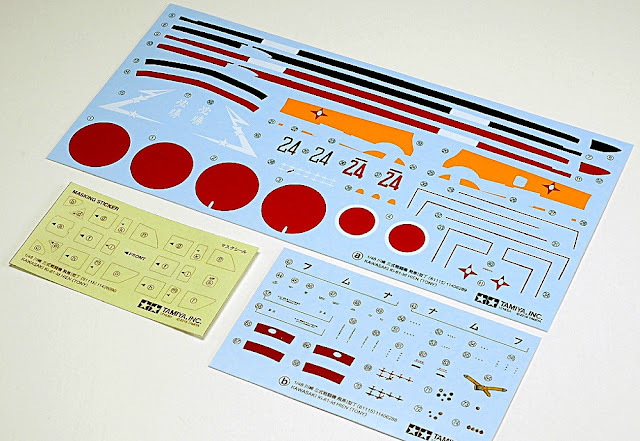 You are not limited to Japanese markings with this kit. After World War II, captured Hiens were used by the opposing Nationalist and Communist forces of China. Other captured aircraft were used in Indonesia, by forces fighting for independence from the Netherlands. A precisely moulded kit of an attractive aircraft. The transparent fuselage half adds the possibility of making the model into a real show star. It's a nice little extra that could be emulated by other kit manufacturers. SMN note: Hasegawa also make decent kits of the Ki-61, in 1:48 scale here and 1:32 scale here.